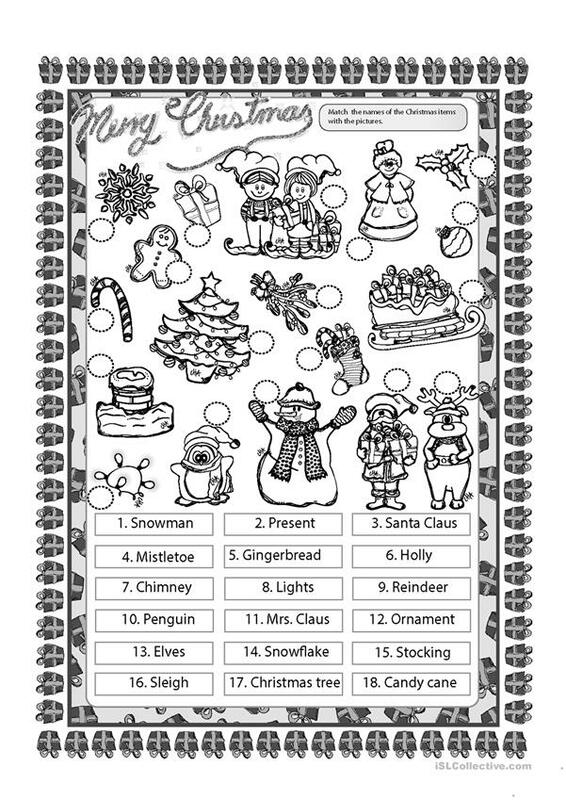 This is a simple worksheet in which students have to match the names of the Christmas items with the pictures. Hope you find it useful! Thanks. Cha. This printable, downloadable handout is intended for elementary school students, adults and students with special educational needs, learning difficulties, e.g. dyslexia at Beginner (pre-A1), Elementary (A1) and Pre-intermediate (A2) level. It is about the vocabulary topic of Christmas.